Whenever people talking about wagyu beef bowl, Fat Cow never fails to be mentioned. I don’t disagree, they used to be my favourite spot for beef donburi in Singapore…until recently. For their coveted lunch menu starting from S$3++ for their tempura & spicy salmon donburi to S$50++ for sushi moriawase (I always try to avoid ordering anything other than what the restaurant is known for, in this case beef). 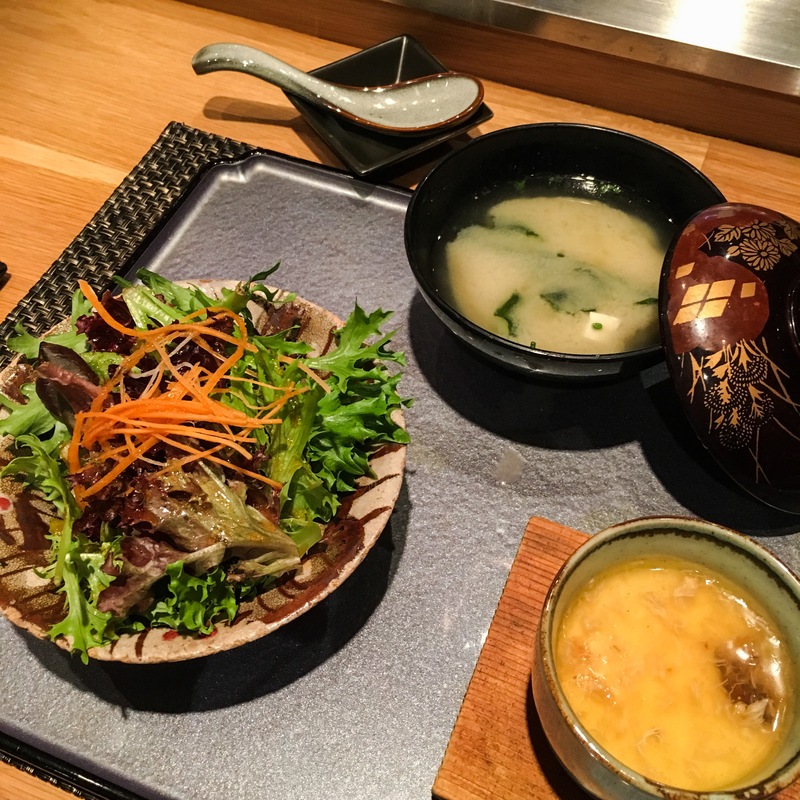 All sets come with sides of steamed egg, green salad with Japanese dressing & miso soup. My verdict is, they used to be more generous with their portions. Fat Foa-Gura Don – Glazed Foie Gras and Wagyu Cubes over rice [S$48] – Lacking in sauce and more beef needed!!! The FatCow Danbury – Charcoal-grilled Wagyu Beef with Onsen Egg and Shredded leeks over rice [S$45] – Sauce used was too salty and beef was too dry – I noticed the chef who was grilling my beef, kept trying to squeeze the juice out of my beef, what’s wrong with him!? Parking : EPS at basement of Camden Medical. Word of caution for cars with low-profile.